Lourdes University President Mary Ann Gawelek presents the iWolf Program Experience. iWolf, a re-imagining of college education, is an enhanced learning experience featuring Apple iPad Pros and open source materials. Beginning Fall 2019, all incoming Freshman will receive an Apple iPad Pro, Keyboard, and Apple Pencil. 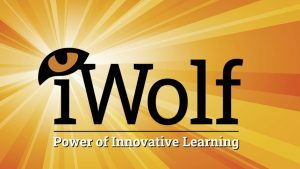 25 Lourdes University faculty members will be chosen to integrate iWolf into their lesson plans and syllabi. These faculty members will receive an iPad Pro with keyboard, Apple Pencil and case, as well as a MacBook Air. Along with having 24-hour access to teachers and classroom materials, students will be given the chance to experience classroom learning through virtual and augmented reality. The first program of its kind in Northwest Ohio, iWolf is sure to enhance student’s educational experience. Helping them to engage more readily with faculty, staff, and their own peers. Lourdes will also offer technical support for all iPads throughout students academic career. The iWolf experience ensures Lourdes students will be prepared for growing technology in the workforce and career path of their choice. For more information about the iWolf experience, click here.